opportunity for mathematical sciences students to come together over the summer break and develop their skills and networks. The program includes lots of social events including BBQs, public lectures, student seminars, the annual Summer School dinner and anything from picnics to rock climbing and paintballing. Dr Keith Devlin, Stanford University, will speak at the Summer School dinner. His current research focuses on the use of different media to teach and communicate mathematics to diverse audiences. He also works on the design of information/reasoning systems for intelligence analysis. 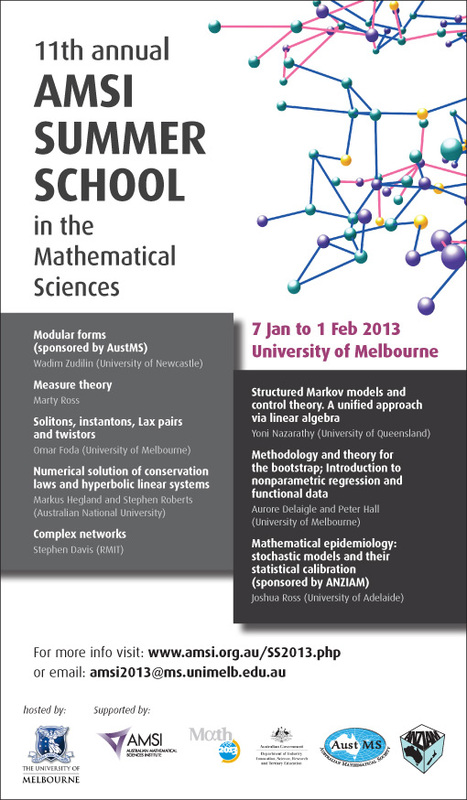 The annual Summer School is funded jointly by the Department of Industry, Innovation, Science, Research and Tertiary Education and the Australian Mathematical Sciences Institute.